Glogster is a wonderful creativity tool that allows students to demonstrate their knowledge. Glogster allows users to input text, pictures, graphics, video, and audio to create an interactive online poster. 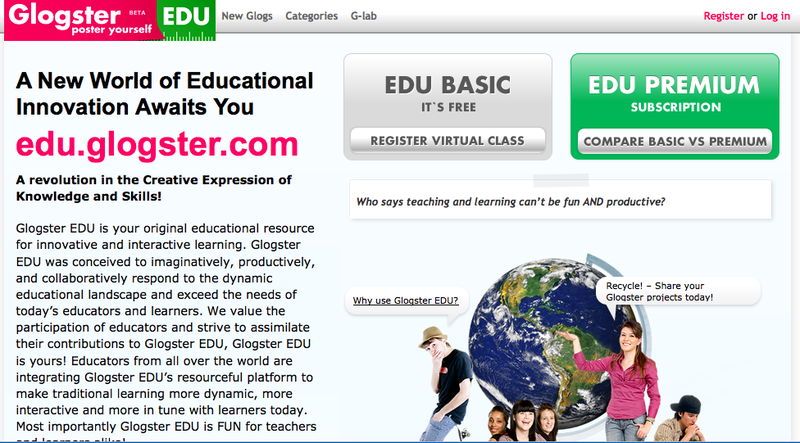 Glogs can be hosted by Glogster or you can embed it into a wiki, blog, or class web site. Teachers must register to use Glogster. It is free, and each student will have a log in. You can have up to 100 students in your account and from the teacher dashboard you can view and control all student activity. I hope you and your students enjoy glogging as much as I do!